A new product hits the shelves – attention all you dog owners/lovers – this ones for you. 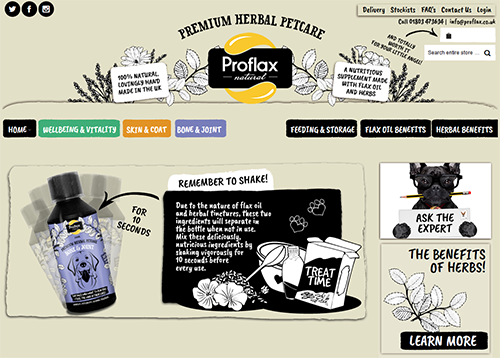 We’re pleased to have Proflax on board as a client – a great herbal pet care product for your canine friends. The products consist of pressed flax oil and active herbal extracts, which are 100% pure and natural – it is 100% natural and grown in the UK to boot!